When they coined the term Blitzkrieg, perhaps Historians and social commentators weren’t aware that the term would continue to hold relevance and great meaning for German nation for the times to come, long after the end of second world war. That the Blitzkrieg phenomenon is still alive and roaring for Germany can be noted by the sheer number and quality of racing talent that has emerged from this triumphant West European nation. It is a standing testimony to all facets that make F1 an intriguing sport and its luminaries, embodiments of the need that fits the skill set that makes a driver an accomplished racer. Whether it is tenacity or the ability to focus for long hours, the will to outpace contemporaries on any given circuit or the relentless pursuit of victory, German racers have come and done it all. In this light, it wouldn’t be incorrect to state that Germany and Formula 1 racing is a marriage that can outlast time immemorial. And, we have practical examples to hold the above notion true. The long standing name of stalwarts from Deutschland have had a commanding impact on the great motorsport. If Michael Schumacher describes enigma, then Vettal signifies triumph of will. But here is an exciting new addition. 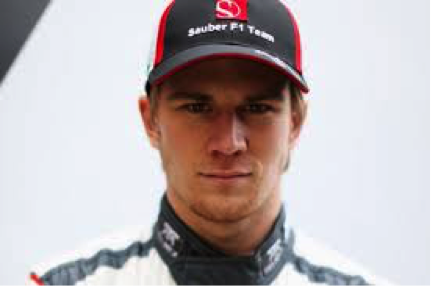 Nico Hulkenberg, the 27 year old speedster from Emmerich am Rhein, Germany is emblematic to Germany’s newfound resurgence in a thrilling contest it has come to dominate time and again. Young racers seem to do it all and most of the times, it has been seen that conventionally all successful drivers or noted successes at the Formula One level are proven champions at the GP2 or Renault level. These are intermediate but equally competitive levels where one has to succeed if he is to make to the zenith of motorsport recognition. Young Nico, excelled not just at GP2 and Formula Renault, but even aced Karting in a smooth and calculated manner, becoming the Junior Karting Champion from Germany in 1997. Determined to connote that racing was in his blood, Hulkenberg had larger victories in sight and once he broke new grounds on the national motorsport level, his next stop would be the international arena; F1 racing. 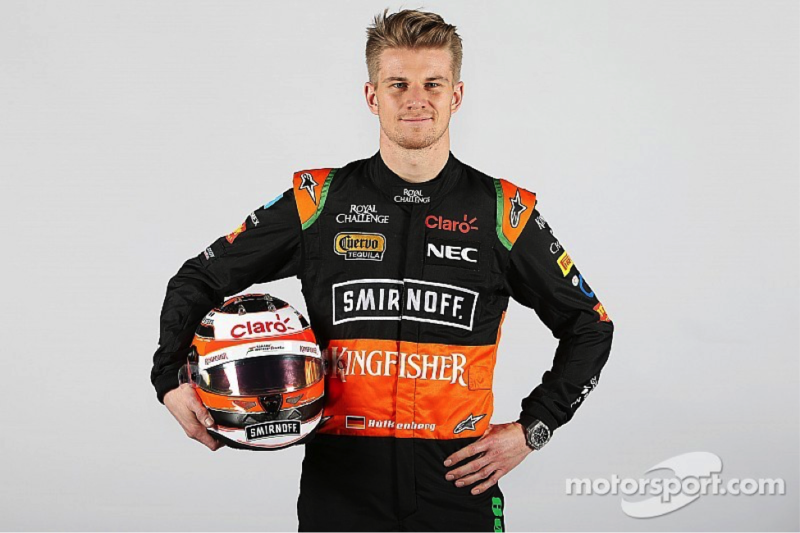 From there on, in his late teens to the early progression into Formula One, Hulkenberg has quite literally done it all. Nico won the eminent GP2 back in 2009 when he was merely 22 and even triumphed in the exhausting BMW series, emerging a champion way back in 2006. It was however a controversial and highly debated ruling in the very final race that stripped him of the epic win. But to that point, young Hulk as he is fondly called had consistently outpaced other rising names. 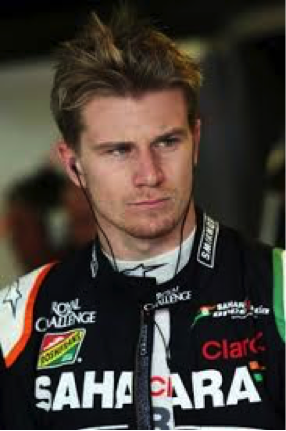 Fit and boasting of a lean physique and possessing an appetite to naturally compete for hours at length, Hulkenberg derives his mantra for success through a natural inclination toward working just as hard in the pits and amidst the race engineering crew as he does out on the fast tracks. 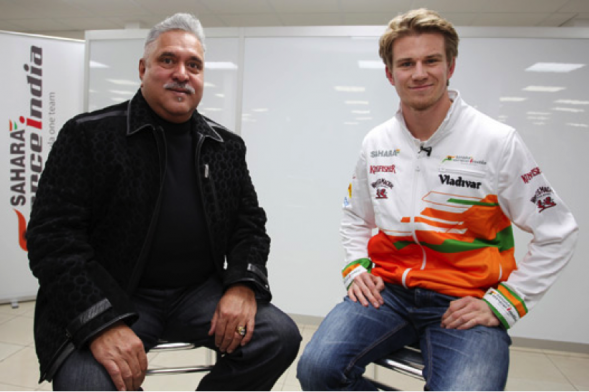 It seems clearly that Hulkenberg , presently driving for Sahara Force India Formula One team, shares not just a warm camaraderie with Dr. Vijay Mallaya (the team’s principal) but enjoys the attention of the entire team who regard his sincerity, commitment and his natural speed to perform out there when it matters. From competing well with luminaries such as Fernando Alonso and giving ace drivers like Lewis Hamilton, from whom he defended his race leading position in China in the memorable race of 2013, until Hamilton finally managed to edge past his young adversary, Hulkenberg has preserved his special talent to lock horns with those who are feared and respected for their might. Nico Hulkenberg first broke out into the epic Formula One scene in the significantly successful Red Bull reign of 2010. This was to be the Vettel era where largely another name made great headlines for nearly matching Sebastian’s great Red Bull Renault’s pace being nearly as good, if not better. In a season marked by consecutive Red Bull victories with Vettel announcing his no mean pushover intention, Ferrari’s Fernando Alonso gave the German grand competition. It is pertinent to note that Williams Mercedes were nowhere near in contention. But, out of nowhere a young rookie, smiling bloke broke out into the middle and captured the team’s first pole position in a period of over 5 years. That was Nico Hulkenberg arriving at the big stage. In the years that followed, an immediate reversal of fortune was waiting the young F1 star in making. Despite his on track flair and character, Williams racing team failed to retain him for the 2011 season. Contesting just as a test driver for newly formed Sahara Force India in ’11, a team that had already struck glory with Giancarlo Fisichela claiming P2 in a celebrated Belgian Grand Prix in 2009, that came to be Force India’s best performance at that point, when Giancarlo bowed out to Kimi Raikkonen’s icy cool Ferrari that claimed the race at Spa Francorchamps, Mallaya’s team hadn’t tasted much success before the Hulk arrived in their cockpit. Vijay Mallaya’s Sahara Force India went on to design a rather meaningful race combination by pairing young Italian Paul Di Resta with German Nico Hulkenberg for the 2012 season. During that time, Nico convincingly outpaced his teammate on 11 occasions in separate qualifying contests and on 8 race finishes. He was quicker, more reliable and ultimately, more efficient. Nico went out of Sahara Force India for a slightly awkward but experimental 2012 season where he again managed the race pace and ultimately emerged ahead of fellow German Adrian Sutil at the end of the season. Crashes were few and race retirements even fewer for the young German, thus conveying his might and ability. 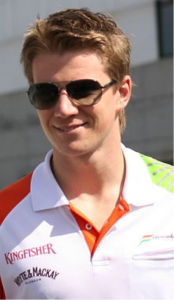 Nico returned back to where he belonged and did best by claiming the lead driver seat once again for Sahara Force India for the 2013 season. Since then, he has been the shining star of a moderately successful race outfit. 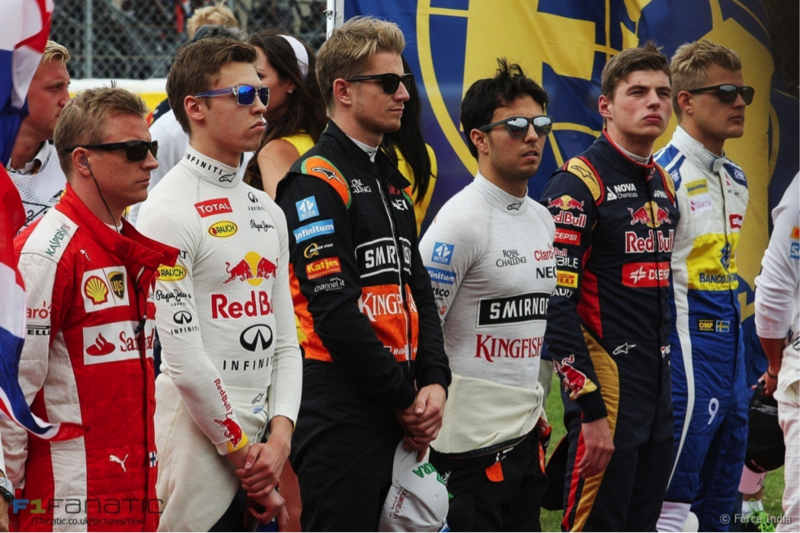 In the present 2015 season, Nico is already featuring in the top 10 driver standings, sitting firmly at 9th spot, and holding onto an end for Force India’s contention. Most race drivers feel a sense of accomplishment at succeeding at just the pinnacle of motorsport: F1. But, there are others who are determined to prove their might in other outfits and challenging templates of racing. 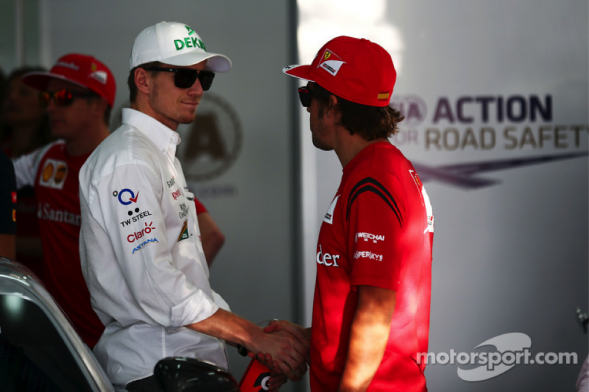 Take Kimi Raikkonen and Mark Webber for example. The Finn competed in World Rallying Championship and was about to make a name there when the F1 recall came calling. Post retirement, Webber, the lanky Australian has headed toward Porsche racing series. Our man from Germany has already proven his caliber in another highly testing and nasty race outfit. Nico Hulkenberg successfully competed in the endurance based Le Mans racing competition where races stretch well over 1000 kilometers and stretch up to 12 hours at a go. He contested for Porsche in level 2 of World Endurance Championship at Le Mans, France and emerged right on top. Featuring regularly in point scoring race finishes at high speeds that top speed charts and determine his class and aura given his young age, Nico is destined to go much higher and carve truly a niche for himself. He may well be the next German enigma out on the racing tracks. Although fans in Germany and elsewhere await for his true moment of reckoning when he will be seen occupying the centre spot on the race podium.